this Island a tourist paradise. 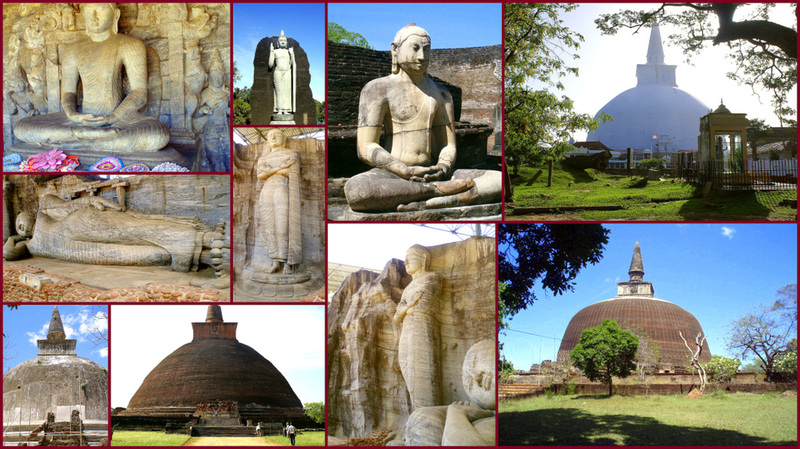 The ruined cities of Anuradhapura and Polonnaruwa illustrate the glory of the ancient kingdoms. The gigantic Sthupas and Buddha statues are among the biggest man-made structures of the world. The massive reservoirs, built by the ancient kings to irrigate thousands of acres of land, are marvels of hydro engineering. There are eight UNESCO World Heritage Sites in Sri Lanka.